Marilyn Ferri, LCPC received her M.S. from Illinois State University in 1994. 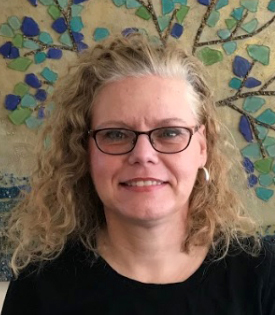 She is a Licensed Clinical Professional Counselor in the State of Illinois with over 23 years of experience working with young and older adults, couples, families, and groups. Marilyn believes in collaborating with her clients to open a personalized toolbox to reveal their strengths for healing and growth. Her clients share that they appreciate her warmth, sense of humor, accepting attitude, and creativity. She has experience working with issues such as anxiety, trauma history, addictions, depression, grief/loss, and caregiver stress. Marilyn primarily helps her clients by using cognitive behavioral therapy as well as client-centered approaches. Marilyn Ferri, LCPC received her M.S. from Illinois State University in 1994. As a therapist with 23 years of experience, Marilyn believes in collaborating with her clients to open a personalized toolbox to reveal their strengths for healing and growth. Her clients share that they appreciate her warmth, sense of humor, accepting attitude, and creativity.